[Mathieu Stephan] has something new in the works, and while he isn’t ready to take the wraps off of it yet, he was kind enough to document his experience putting the mysterious new gadget through its paces inside an anechoic chamber. Considering the majority of us will never get inside of one of these rooms, much less have the opportunity to test our own hardware in one, he figured it was the least he could do. 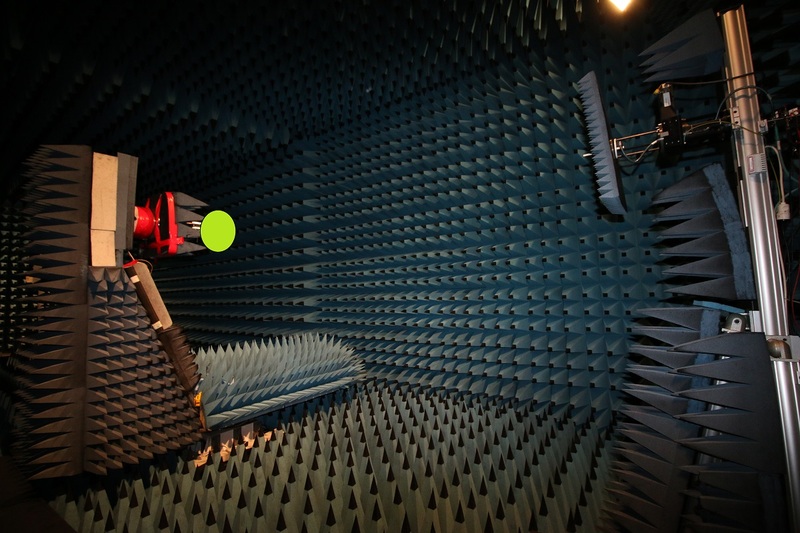 If you’re not familiar with an anechoic chamber, don’t feel bad. It’s not exactly the sort of thing you’ll have at the local makerspace. Put simply it’s a room designed to not only to remove echos on the inside, but also be completely isolated from the outside. But we aren’t just talking about sound deadening, the principle can also be adapted to work for electromagnetic waves. So not only is in the inside of the anechoic chamber audibly silent, it can also be radio silent. This is important if you want to test the performance of things like antennas, as it allows you to remove outside interference. As [Mathieu] explains, both the receiver and transmitter can be placed in the chamber and connected to a vector network analyzer (VNA). The device is able to quantify how much energy is being transferred between the two devices, but the results will only be accurate if that’s the only thing the VNA sees on its input port. [Mathieu] can’t reveal images of the hardware or the results of the analysis because that would give too much away at this point, but he does provide the cleverly edited video after the break as well as some generic information on antenna analysis and the type of results one receives from this sort of testing. Our very own [Jenny List] has a bit more information on the subject if you’d like to continue to live vicariously through the accounts of others. For the rest of us, we’ll just have to settle for some chicken wire and a wooden crate. 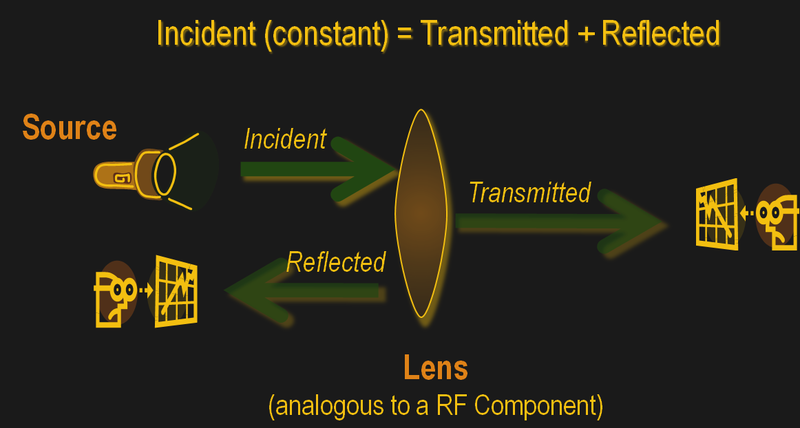 There are a few ways to actually create a VNA, but in concept, it is a sweep generator, a detector, and a means to plot the response at each frequency in the sweep. So you’d expect, for example, a resonant frequency to show a peak at resonance and a band reject filter to show a low point. One of the things interesting about the device is that it uses Java software. That means it doesn’t care much what platform you want to use. The software can show two different plots at once, so [Kevin] hooks it to his 20 meter antenna and shows how it can plot the SWR and impedance around the frequency of interest. The instrument can be USB powered with the same cable you use to connect the PC. However, it also has an internal rechargeable battery. That battery charges on USB and can operate the device with Bluetooth. We can imagine that being handy when you want to climb up a tower and connect it directly to an antenna as long as you stay in Bluetooth range of the PC. There’s also a phone app, so you can go that route, if you prefer and [Kevin] shows the device working with Android. Of course, you could probably rig a Raspberry Pi on your belt and then use WiFi to let someone on the ground remote desktop in to run measurements. A lot of possibilities. If you want to roll your own, that’s possible, of course. If you want to get by a bit cheaper, there are less expensive options. [Shahriar] recently posted a review of a 6.8 GHz network analyzer. You can see the full video — over fifty minutes worth — below the break. The device can act as a network analyzer, a spectrum analyzer, a field strength meter, and a signal generator. It can tune in 1 Hz steps down to 9 kHz. Before you rush out to buy one, however, be warned. The cost is just under $2,000. That sounds like a lot, but test gear in this frequency range isn’t cheap. If you really need it, you’d probably have to pay at least as much for something equivalent. [Shahriar] had a few issues to report, but overall he seemed to like the device. 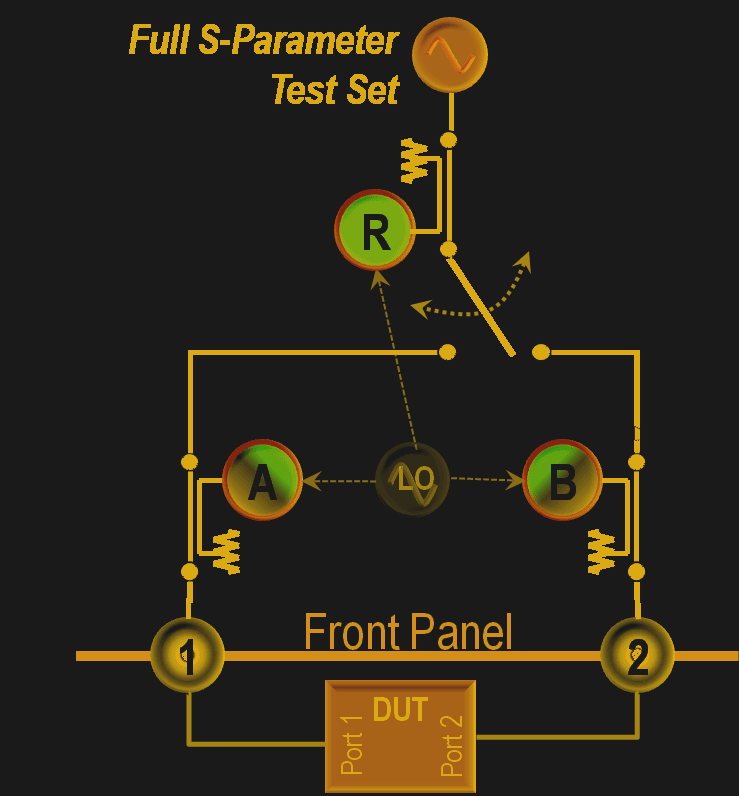 For example, setting the step size too broad can cause the spectrum analyzer to miss narrow signals. If your needs are more modest, we’ve covered a much simpler (and less expensive) unit that goes to 6 GHz. If you need even less, an Arduino can do the job with a good bit of help. The Analog Discovery 2 also has a network analyzer feature, along with other tools at a more affordable cost, too. Of course, that’s only good to 10 MHz.